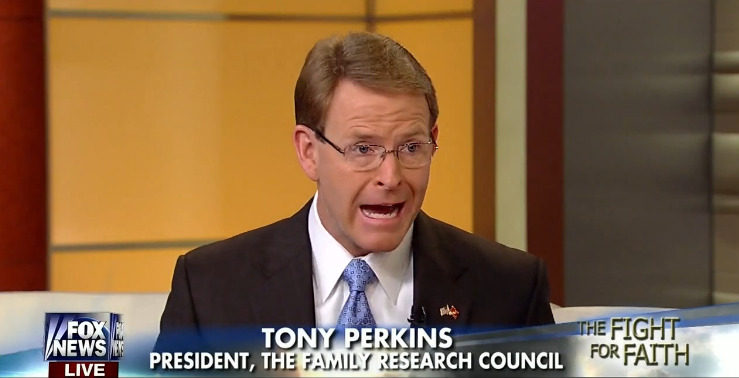 Today on Family Talk, James Dobson hosted Tony Perkins of the Family Research Council, Alan Sears of the Alliance Defense Fund and Gary Bauer of American Values to discuss the purportedly perilous state of Christians in the U.S. Perkins, who has called President Obama “the worst president this country ever had” and said that his reelection could spell doom for America, told Dobson that President Obama is to blame for many of the problems Christians allegedly face. 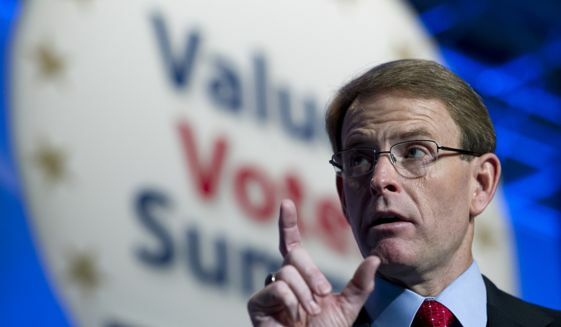 “The President has used his bully pulpit” to create “an atmosphere that is hostile toward Christianity,” Perkins claimed. 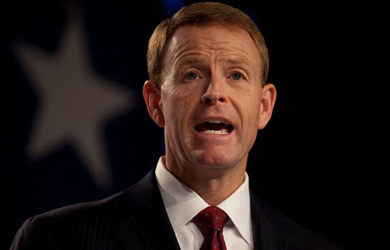 He even argued that Obama “has a disdain for Christianity” and that the judiciary and the military are pushing his supposedly anti-Christian policies. Perkins: I have no doubt, as you look back over the last two and a half of years of this administration, that the President has used his bully pulpit, he has done public policy but beyond the public policy that he’s pushed for, its created an atmosphere that is hostile toward Christianity. And we’re seeing this played out all across this culture and the courts have been emboldened by this and now you see the military doing it as well. There’s no end to this as long as you have someone who is the Commander-in-Chief who is the president of this country that has a disdain for Christianity.